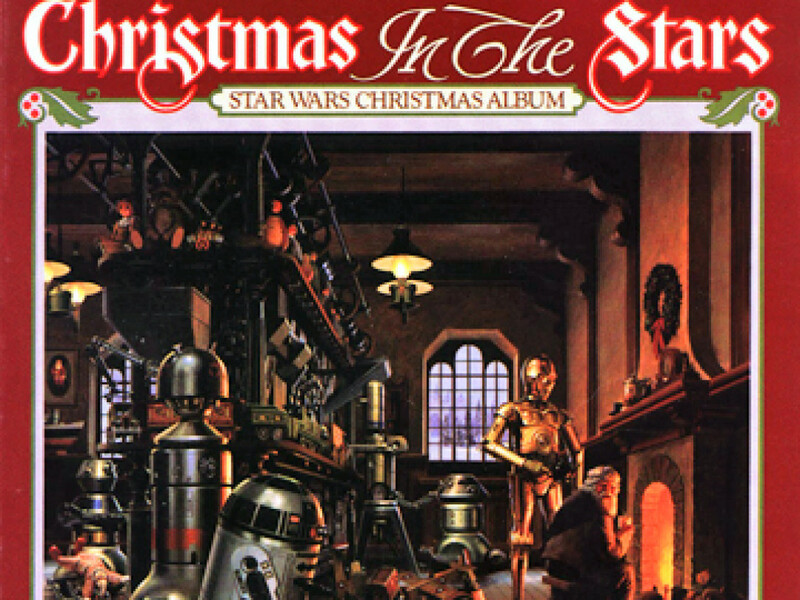 It’s not because the word “wars” can be found in the saga’s title that the people of the galaxy never made time for a proper holiday or celebration. Holidays were a part of everyday life to the average Barada or Wedge, if they were lucky enough to live in freedom or on a planet where government didn’t suppress celebrations. 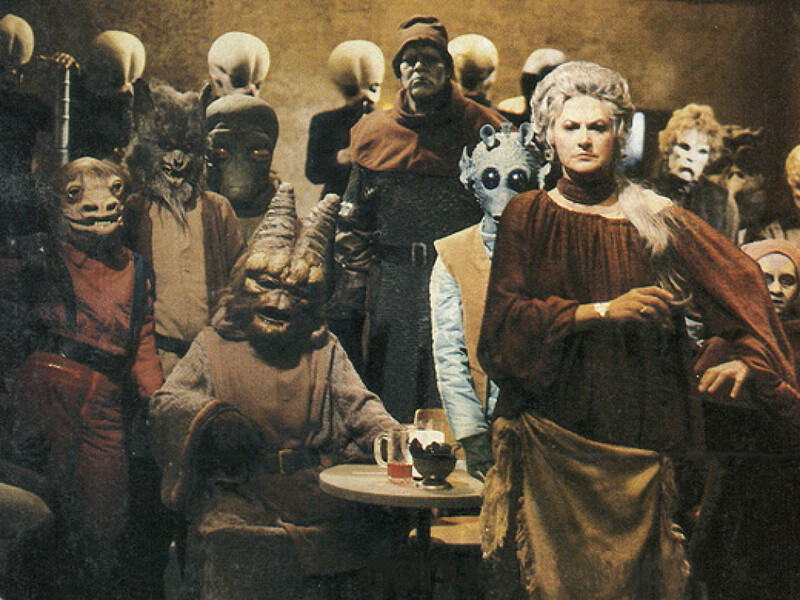 But then again, even the Hutts gave their slaves a holiday that “rewarded” their servants with festivities. The heroes of the saga took part in several celebrations that happened after important victories over the forces of evil. When the Trade Federation was defeated, Queen Amidala handed Boss Rugor Nass the Globe of Peace in the city of Theed, and united the Gungans and the Naboo after many years of uneasy relationships. 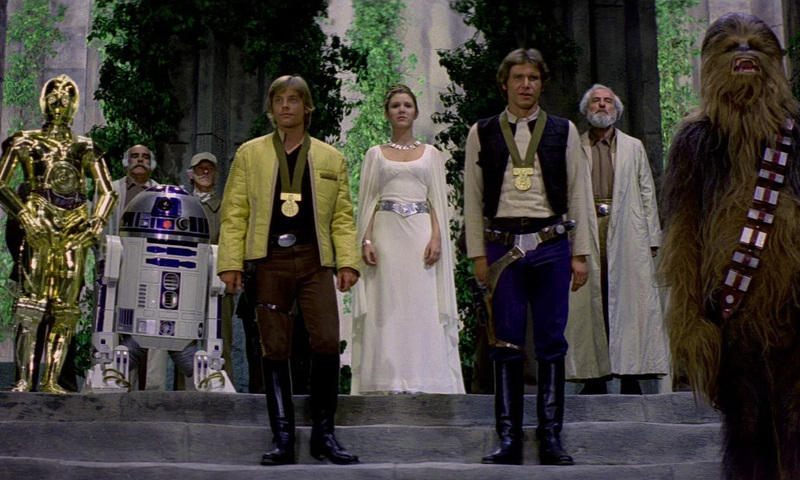 After the destruction of the Death Star Princess Leia Organa bestowed Luke Skywalker and Han Solo, the new poster boys of the Rebel Alliance, with Medals of Bravery (which was later also given to Chewbacca). The biggest celebration probably took place after the second Death Star had been destroyed and Emperor Palpatine had been killed. Not just on Endor, but throughout the galaxy, supporters of the Rebel Alliance and the ideals of the Republic and democracy, cheered, danced, and toppled statues. But whether you’re a hero celebrating a military victory, a Squib merchant bargaining on Haggleday (or on Droidfest, if you’re interested in Jawa-refurbished, but “like-new” automatons), or a Geonosian drone worker commemorating the virtue of hard labor during Meckgin, everyone needs to wind down from time to time. Join us, while we visit a variety of these celebrations! The Coruscant calendar included three Fete Weeks, which marked times of celebrations. New Year Fete Week, at the start of the year, covered the first five days before the actual calendar began. The Festival of Light was celebrated in the five days between the sixth and seventh month, and it was filled with parties and presents. Between the ninth and tenth month, the Festival of Stars celebrated the invention of interstellar space travel, and provided an opportunity for many people to take a break and travel to other planets. The foundation of the Galactic Republic was celebrated on the 19th day of the third month each year in the form of Republic Day. The Empire scrapped this holiday in favor of Empire Day, but those opposing the Emperor’s regime still celebrated it as Remembrance Day. Empire Day was the holiday used to commemorate the foundation of the first Galactic Empire by Emperor Palpatine, right after the Clone Wars had ended. 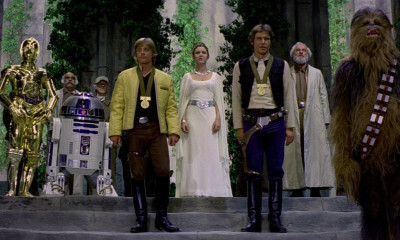 It was also a special day to remind the galaxy of the New Order’s military prowess by organizing military parades and by bestowing Imperial personnel with awards for outstanding achievements in several fields of excellence. On a more personal level, Imperial governments handed memorabilia to citizens on the streets and loyal Imperials greeted each other with the saying “Happy Empire Day”. The most zealous Imperial lackeys hoped to spend Empire Day in the presence of their leader, the esteemed Emperor himself. Very few were ever granted that wish. 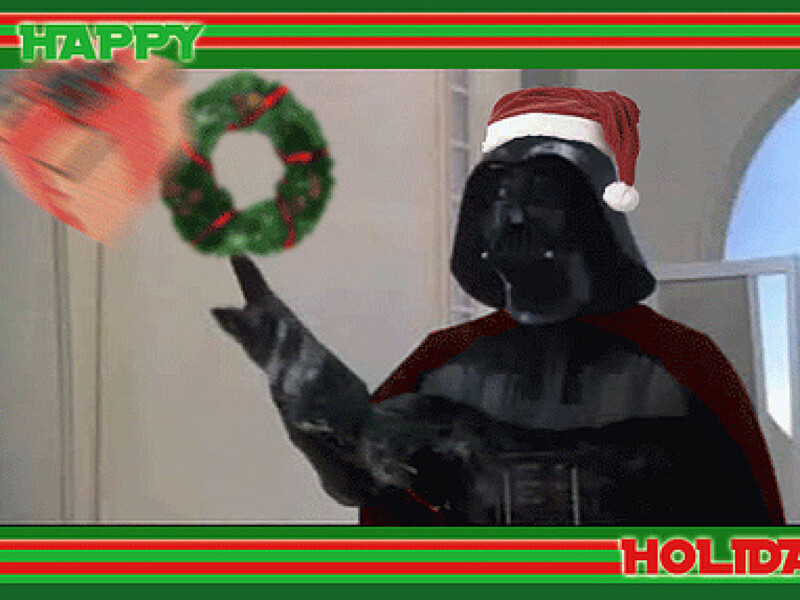 Holidays and festivities introduced by the Galactic Empire, like Empire Day, were often not just celebrations. They were rife with Imperial propaganda and usually meant as a show of force. 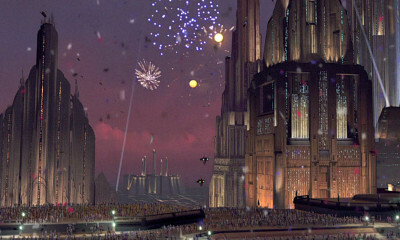 Carnival Week, an annual event on Coruscant, was such a festival. It didn’t only offer firework displays and military parades, but also public executions of political enemies of the Emperor. 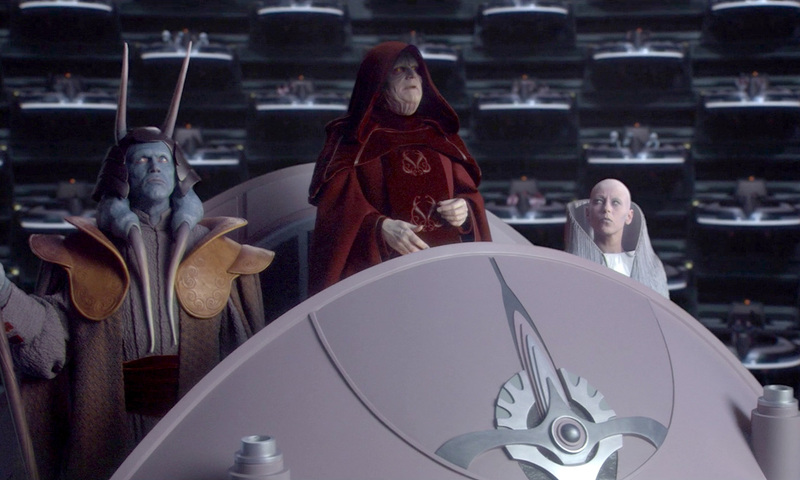 This rather odd way of celebrating was not unique to Carnival Week though, as the Emperor gladly hijacked the Fete Weeks to perform public executions and parade his military through the Coruscant thoroughfares. The Alliance equivalent of Empire Day was Endor Day that celebrated the victory at the Battle of Endor in 4 ABY, and honored the fallen. 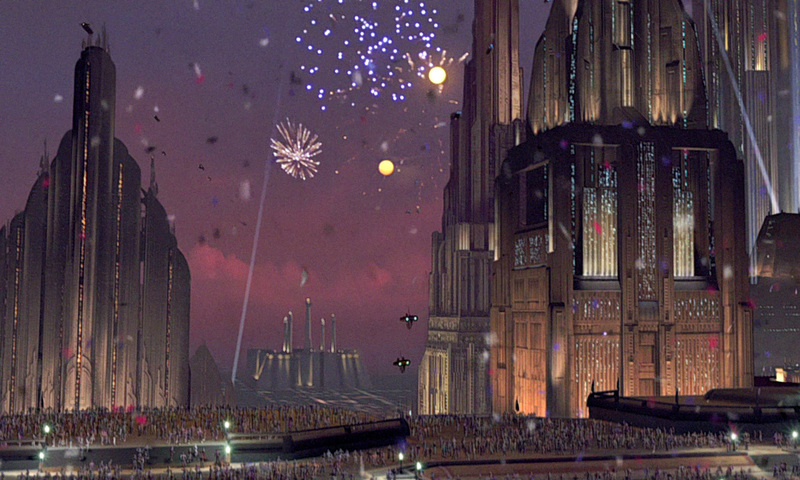 They later also set up Liberation Day, to commemorate the liberation of Coruscant in 7 ABY. The same year also marked the start of Restoration Day, to celebrate the dissolution of the Provisional Council and the formal establishment of the New Republic Senate, as well as the General Ministry and the Court of Justice. It was named Restoration Day to reflect the fact that the Galactic Republic was, in essence, restored. During the Galactic Civil War, the troops of the Rebel Alliance also celebrated Galactic Union Day, a holiday that might have been linked with the foundation of the Rebel Alliance. Commemorating the founding of a government or colony wasn’t an uncommon event, as most worlds celebrated this in some form or another. 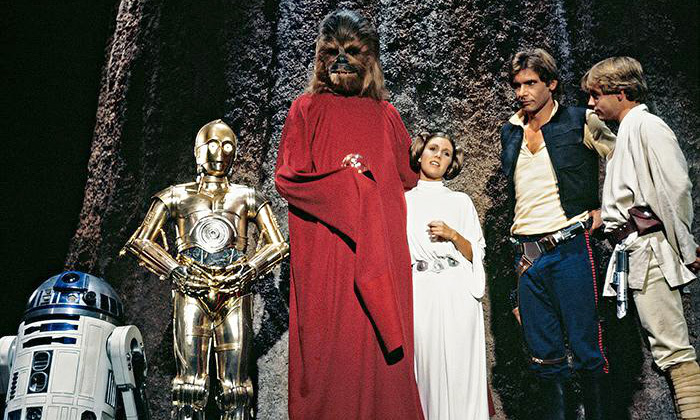 Founding Day on Alderaan was meant to celebrate the founding of the House of Organa during the colonization of the world roughly 27,500 year before its destruction. Even Hologram Fun World had its Founder’s Day celebration, which also served as a perfect excuse for government offices to close their doors for a day. On the other hand, the Imperial reign also meant the end of several festivals. In 19 BBY, the Caamasi Rainbow of Sunshine Festival was canceled due to the creation of the Galactic Empire. The peaceful Vor of Vortex decided to stop the Concert of the Winds, which was intended to celebrate the changing of the seasons. 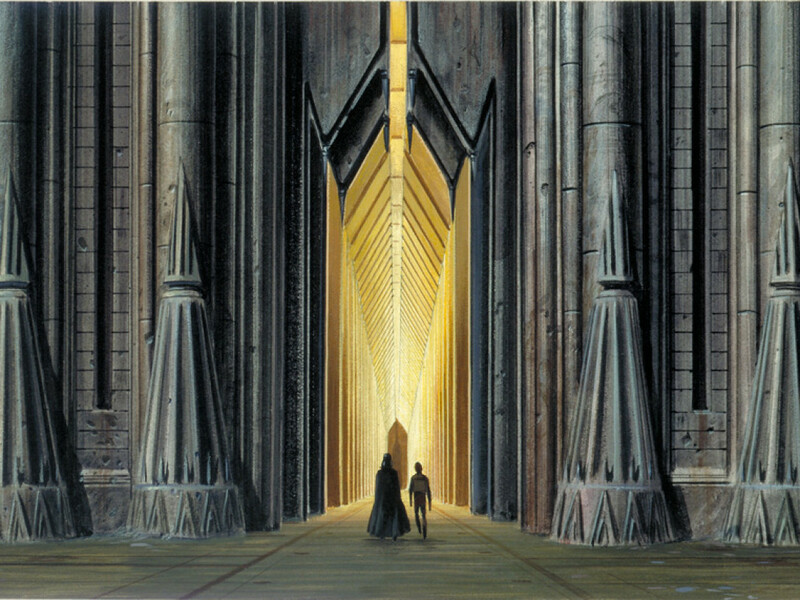 By sealing all openings of the famous Cathedral of Winds they silently opposed the rule of Emperor Palpatine. The festival was reinstated after Palpatine’s death. When the New Republic attempted to coax the Vors into joining their young government in 11 ABY, the Imperial remnant retaliated by destroying the Cathedral of Winds during its first use in 30 years. The Vors were not easily defeated and immediately started rebuilding the structure, but there was to be no music on Vortex until the new cathedral was finished. Those interested in music would still be able to visit the Priole Danna Festival in Gryle City on Lamuir IV, which was only canceled once during it’s more than 2,000 years of existence. This festival in the Tapani Sector featured the popular Anapolla Musical Splash, a 5-day event showcasing the galactic variety of music. 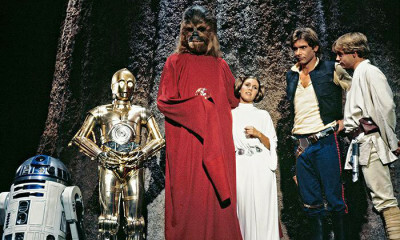 Life Day was celebrated on several planets, but its origins could be traced back to the Wookiee planet Kashyyyk. Life Day on Kashyyyk literally celebrated the life that, according to legend, sprung from the Tree of Life. On Life Day Wookiees chewed on orga roots to join the essence of the Tree of Life. They dressed in traditional red robes and before heading towards the Tree of Life for a ceremony, they spent time in the presence of their relatives and honor family. During the New Order, many rogue Wookiees such as Chewbacca took great risks in returning to Kashyyyk in order to celebrate Life Day. 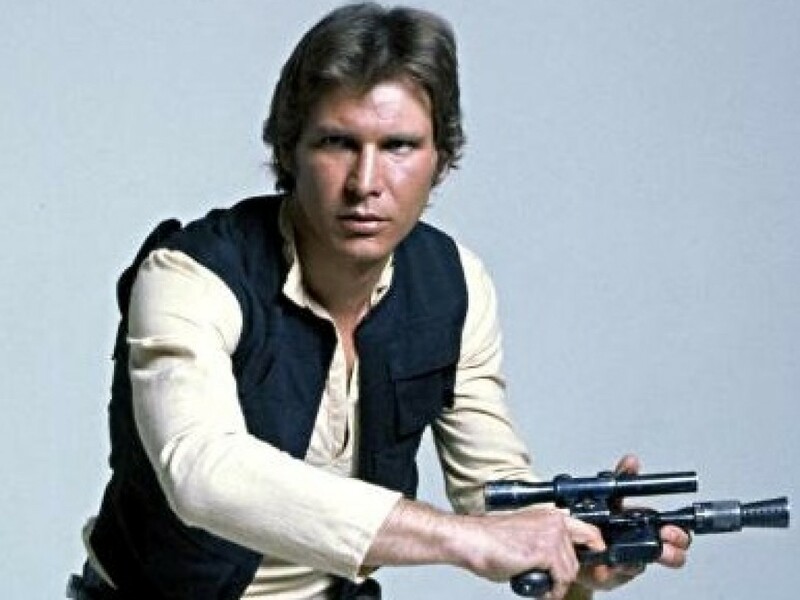 One year after the Battle of Yavin Chewbacca almost missed Life Day, but Chewie and Han arrived just in time to save his family from some Imperial meddlers. That year they were able to enjoy a special guest performance by the future Chief of State, Leia Organa. The Festival of Light was celebrated on Naboo to pay homage to the moment when Naboo joined the Galactic Republic 847 years before the Clone Wars. Fireworks and holographic displays described the history of the planet and the people. Images symbolized the crash of the Grizmallt colony ship, Kwilaan’s discovery of Naboo and a nomadic tribe venturing into the Gallo Mountains. Other holographic displays showed the nomadic tribe arriving at the Dee’ja peak, settling there and developing a farming community on that land that eventually evolved into the city of Theed. Naboo politicians and other dignitaries enjoyed this spectacle from Theed Palace. During the Clone Wars, Supreme Chancellor Palpatine was nearly abducted during the Festival of Light by a group of bounty hunters led by Cad Bane and the Phindian criminal mastermind Moralo Eval. 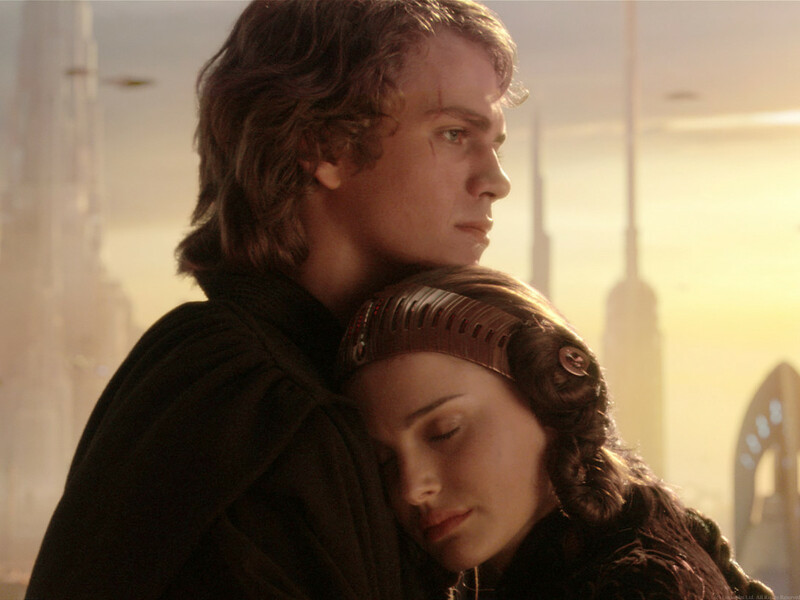 Another Naboo holiday was the Festival of Glad Arrival during Spring. In the meadows of Lake Country the Pastoral Collective organized colorful parades and cheerful music. 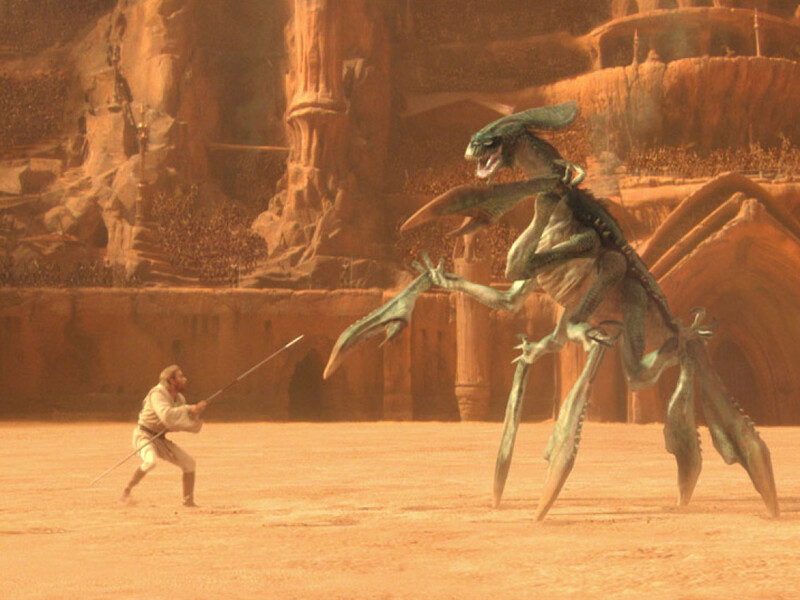 The Gungans of Naboo celebrated the annual Festival of Warriors, for which they even constructed a special arena in Lake Umberbool. The Sacred Feast, regularly called “Munchen” by the Gungans, was a day to be thankful to the gods. It was characterized by a hunt, in which the Boss of each village traveled into the forests to capture enough animals to feed all of their village’s residents. The Festival of Hoods was an important festival on Endor. It celebrated the coming of age of one or more Woklings who were considered old enough to wear their own traditional hood. It was a celebration between the Soul Trees and the Ewoks to honor their symbiotic relationship. 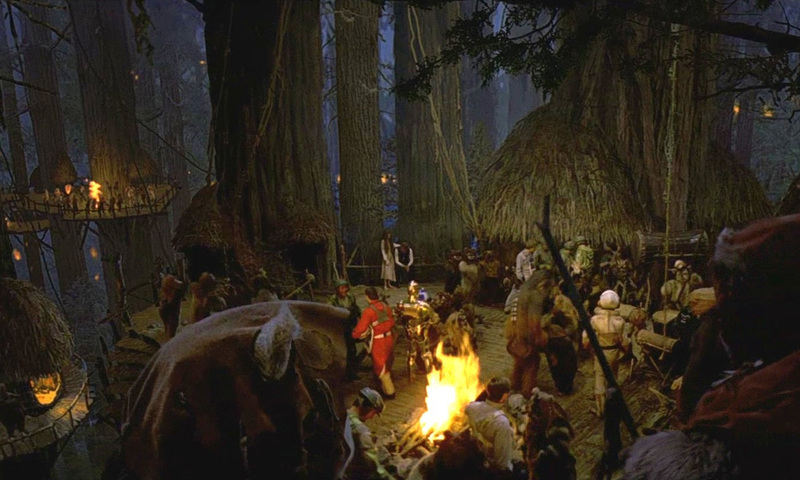 The Ewoks gathered around a fire and an altar where the ceremony was presided by the tribe’s chief and the shaman. They presented the chosen Woklings with their hoods. The Ewoks were a species that knew how to throw a party. Their society was home to several celebrations, such as the Festival of the Wisties, the Fishing Festival, the Harvest Festival, the Harvest Moon Feast, the Light Festival, the Midsummer festival and the Shadow Night Festival. The Boonta Eve (or Boonta’s Eve) was a Hutt holiday that lasted for three days. It celebrated the ascendance to godhood of Boonta Hestilic Shad’ruu after his definitive victory against the Parliament of Moralan. The actual Boonta Eve was the highlight of the festivities. It was a night where the Hutt slaves symbolically renewed their vows and were “rewarded” by a large feast and festivities. During the last decades of the Galactic Republic, Boonta Eve was celebrated on at least three planets: Tatooine, Boonta and Arami. On Tatooine Boonta Eve could only mean one thing: the Boonta Eve Classic. 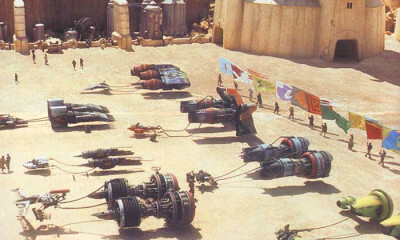 This race became known as the largest annual podrace in the professional circuit and it was visited by journalists and fans of podracing from around the galaxy until the sport became outlawed and the Hutts lost their control over Tatooine. On Boonta (formerly known as Kovari) this Hutt holiday was also celebrated by a famous race, the Boonta Speeder Race. This spectacle was created by Yenchara the Hutt to generate more profits from the Boonta Eve. 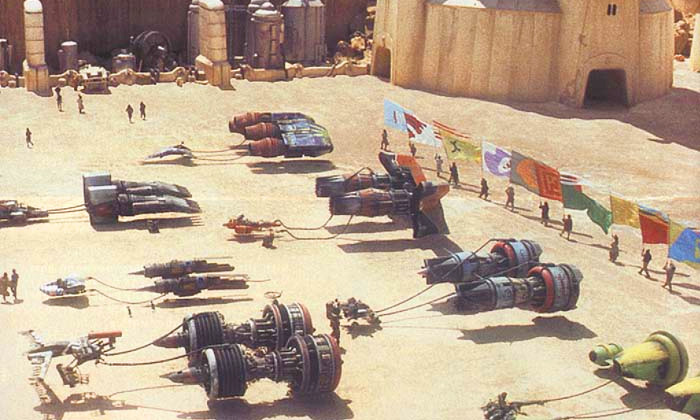 The Boonta Speeder Race was held in a stadium where the landspeeders had to compete by racing ten laps through transparent tubes. The daring race eventually led to the creation of other extreme sports on Boonta. Fifteen years before the Battle of Yavin, the Boonta Speeder Race was won by Jord Dusat and Thall Joben with help from their friends Kea Moll, See Threepio and Artoo Detoo. Other popular races that took place during a holiday included the annual Blockade Runners’ Derby at Ord Mantell or the ice cavern swoop races at the Cordel Cove Winter Carnival on Neftali. 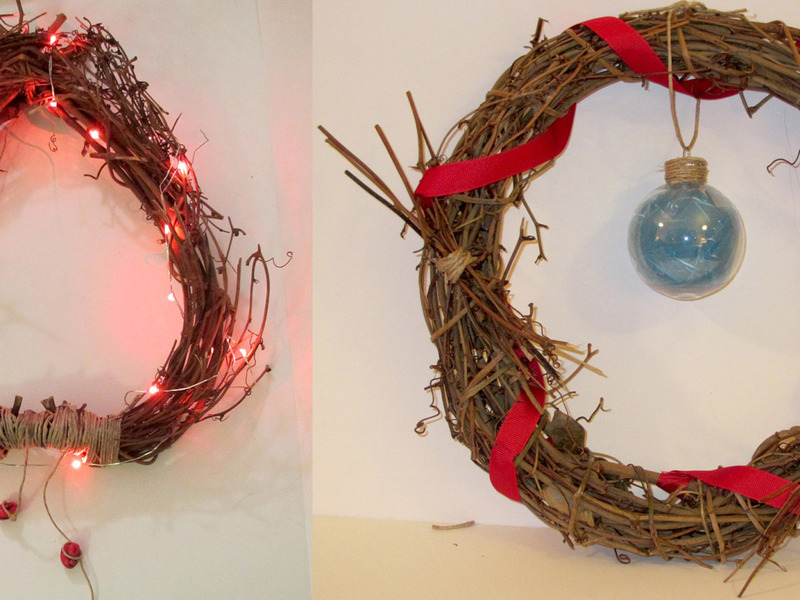 No matter who or what you are, you’ll see that there’s always a holiday or celebration catering to your wishes. Just remember not to drink too much Bubblezap if you’re the designated pilot for the evening, just have a Fizzyglug! Tim Veekhoven (Sompeetalay) from Belgium does research for the Rogues Gallery feature in Star Wars Insider under the supervision of Leland Chee. He’s president and co-founder of TeeKay-421, the Belgian Star Wars Fanclub. He’s a collector, an administrator for Yodapedia, and has written backstories through “What’s the Story?”. Kevin Beentjes (Wild Whiphid) is a molecular biologist working at the Dutch natural history museum. He’s currently involved in the creation of the Rogues Gallery feature in Star Wars Insider, is an editor for TeeKay-421, an administrator for Yodapedia and fascinated with the myriad of alien life forms, in that galaxy far, far away.